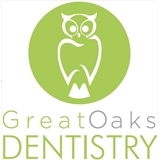 Great Oaks Dentistry (Round Rock) - Book Appointment Online! We strive to treat our patients like family. What better care can you ask for? That is why Dr. Alayan takes time to individualize treatment to ensure the most effective care for his patients and their families. It is our first priority to listen and understand your needs and educate you about various treatment options to help you make the best choices, but most of all feel comfortable about the choices you make. It is the philosophy of Dr. Alayan and the staff to keep abreast of technical advancements in order to deliver the best possible dental care to fit their patient's needs. Also, enjoy the creature comforts and pampering you deserve with our complimentary paraffin wax, hot scented towels, blankets, warm neck pillows and massage dental chairs.